← Week 8 – PrepD Student Led Interactive Writing: The strategy which supports and accelerates the writing development of young writers! Have you ever used a data projector which displays your image upside down, even though it’s the right way up on your lap top screen? Yes, this has happened several times and was easily fixed, but not this time. Brainstorm: How can we solve this problem? Take a look at the photo…. and it worked. Like the way we create our own resources, we teachers are great at getting on with the job. 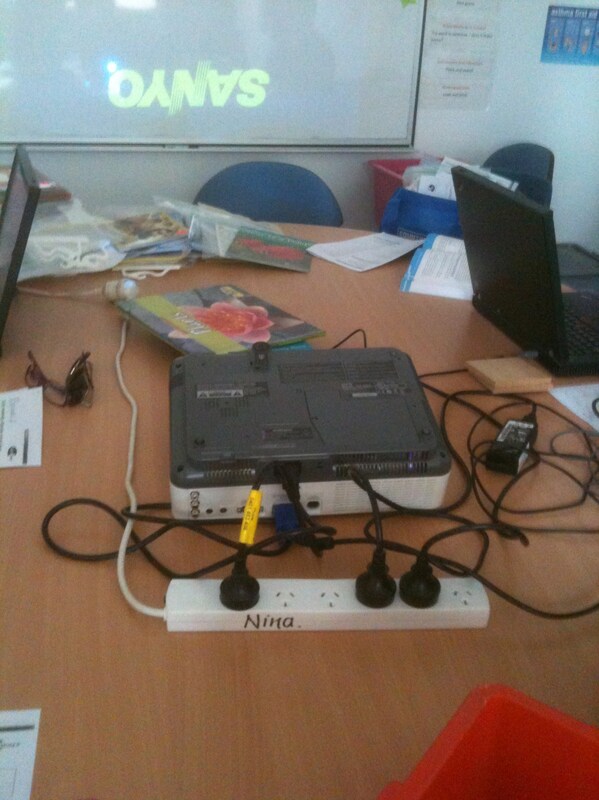 Problem Solved: Turn the data projector upside down…. it worked and our document was the right way up!